Ceramic Coatings are an advanced ceramic formula that gives a hard coating that is impervious to most solvent and alkaline cleaners that are found in common car cleaning solutions and car washes (dependant on dwell time). It effectively locks in the manufacturers shine for years to come. 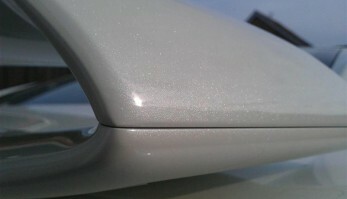 Correctly applied, Ceramic Coatings are stable and will outlast many others. Although reasonable care should be taken during washing and techniques differ from person to person it is best to follow our wash guide provided after every detail. We also recommend that a maintenance detail should be carried out every 8-12 months as this will remove any trace of bonded contaminates that have attached themselves over this period. Paint Sealants have come a long way and there are so many on the market to choose from, they offer a long term protection but will need a more frequent period of maintenance than ceramic. Wax is the protection that is or can be a little confusing, is it completely Carnauba or does it have other wax like beeswax or even a solvent base. These are the factors that portray the look and longevity of a wax and choosing the correct wax for your car is going to make a big difference to how it looks but more importantly how long you need it to last whilst looking spectacular. We carry a range of waxes for every budget and even from the 2 largest wax manufacturers in the world where some would be inclusive in the price of the service selected. Others due to the high value of the product do have an additional cost involved. Please discuss this if interested. There are now Nano Protection products on the market and are fast becoming very popular, they bond directly to the surface of which it is to be applied to and can in some cases be applied in wet weather conditions. These options are discussed at initial assessment.